If you are one of the thousands of professional and amauter photographers in the industry at some point you’ve probably hit a creative rut in your work. It happens to the best of us. Lighting setups can quickly become repetitive and boring after shooting for several months. If you’re looking for some inspiration and instruction on how to kick-start your creative lighting skills I might have the perfect tutorial for you. Before I get into the main portion of the "Mastering Lighting" tutorial review I do want to give you a little background into who Nick Saglimbeni and SlickforceStudio are. I’ve been following Nick’s work since early 2012 when I first became a writer for the site. He graduated from the USC School of Cinema, so obviously he has a strong background in cinematography, and I think that’s what separates himself from several other commercial photographers. He doesn’t just see a photograph as a still moment, but as something with fluid motion, dramatic lighting and colors. He opened up SlickforceStudio in 2004 and later launched SlickforceGirl, creative pinups for a cause (namely breast cancer). Several years back SlickforceStudio released “Mastering Retouching” a comprehensive retouching tutorial which ended up being one of the best-selling retouching tutorials of all time. I have yet to see the tutorial myself, but when I saw the amount of sales and positive industry reviews that particular tutorial had I was pretty excited to watch the “Mastering Lighting” tutorial. The first volume of the tutorial itself comes in several different packages. You can order the tutorial as a digital download or a DVD. If you order the physical copy of the tutorial it comes with a small reference light in the shape of an octabox called a Softlight. These are limited though to the first 250 customers. Last, the tutorial also comes in a premium limited edition box set called the VIP Black Box edition that comes with probably the most impressive packaging I have ever seen with a photography tutorial, and autographed by Nick. I received the VIP Black Box edition for this tutorial. There are less than 40 of these bad boys left in stock if you plan on ordering it for yourself. While the packaging was beyond impressive it’s the content that matters, and I’m happy to say that SlickforceStudio delivers on what it promises. Nick takes you behind the scenes on some of his most well-known shoots and reverse builds on how he lit each scene. 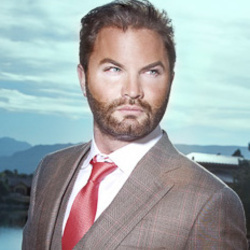 I was excited to see that Nick decided to explain his lighting techniques for his on-location shoots and not studio. There are several in-studio based tutorials already, so to see in detail how Nick built each lighting setup in an outdoor setting was refreshing to see. I will point out that this tutorial isn’t for absolute beginners. 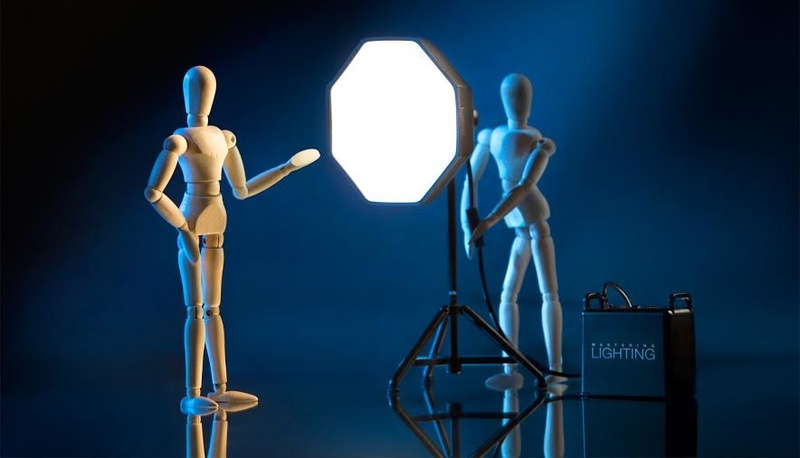 You should already have basic shooting knowledge such as how to use your camera settings while shooting with strobes and basic strobe/off-camera lighting skills. The tutorial doesn’t get too technical when it comes to settings and off-camera lighting. As you know camera and lighting settings will always change when shooting in different locations, time of day and even with the kind of equipment you’re shooting with. The tutorial is more about how to think outside the box when lighting your scenes and subjects, not so much on the technical know-how. The first portion of the tutorial walks you through how Nick lit his successful Nuclear Summer editorial feature. Shot in an abandoned gold mining village it was interesting to watch how he used his surroundings to his advantage instead of a deterrent. I really enjoyed learning how to use items such as broken shards of glass found on-site to creatively light the face of the model in the scene. He also explains how he used large mirrors to redirect the natural light of the glaring sun to brighten up the scene instead of opting for additional artificial light sources. A big theme of the tutorial is using what you have available to you to achieve the dramatic look you’re going for. All of the shoots covered in the tutorial all have a cinematic theme and feel to them. In later chapters Nick walks you through on how to successfully conceptualize a photoshoot including location scouting, pre-visualizing your individual shots and even choosing the correct lights and lighting modifiers to get you prepared for your shoot. Using CGI Nick demonstrates how each lighting scenario and modifiers affect your subject and location. The CGI is very well done and makes the tutorial more in-depth and much easier to follow. The animators did an incredible job building the large warehouse and lighting scenarios covered in the tutorial. When you can see a 360 degree view of how ambient and artificial light affects a person on camera it’s much easier to comprehend. It was also nice to listen to Nick as he explains how he uses effect lighting and fog to bring a more dramatic flair to his images. Nick also briefly covers how he retouches the last photo he features in the Warehouse Wonderland portion of the DVD. I really enjoyed watching the tutorial in movie mode (in a continuous thread) instead of piece by piece. It's really hard to find anything lacking in the tutorial, but for an unbiased review I’ll resort to nitpicking to find the small few things that I didn’t like. Since the content was so amazing in the DVD, but the running time was a little over an hour it left me wanting more. Keep in mind though that this is just the first volume in the Mastering Lighting series, so more will eventually be coming. The only other thing that I wish had been done differently was being able to see Nick address the camera directly instead of the whole tutorial being voiced-over. Since the shoots featured were shot before the DVD was made only BTS footage was used, hence the strong and detailed CGI used. I like to watch the photographer engage his/her audience by directly speaking to them through the camera. It’s hard to connect with an instructor when you only have a voice-over to listen to, but I digress this is all massive nitpicking. The content is the same either way. The Softlight toy that is included with the DVD (while supplies last) is the most amusing thing I have ever seen added to a box set of any kind. The small toy in the shape of an octabox actually functions with an external battery pack using double AA batteries. It’s meant to use as a way to reference lighting scenarios and practice your lighting on figurines, but really I just like showing it off to my friends as it’s probably the cutest photography accessory I’ve ever owned. It now has a permanent place on my desk, and I might use it to up my selfie game. The box set also includes Nick’s lighting journal which was a nice companion piece to the tutorial in case I ever wanted to quickly reference it for lighting set-ups. To wrap up the review I do want to include that while I have yet to watch the other tutorials in Nick’s Slickforce System (“Mastering Retouching” and “Mastering Compositing”) I do feel like “Mastering Lighting vol. one” is a perfect companion to these pieces, although you can obviously watch it as a stand alone as I have done. If you’re looking for some quick, but thorough lighting inspiration then this tutorial is definitely for you. You can pick up the digital download for $149, the DVD and SoftLight for $149 or you can have both the download and physical copy including the Softlight for $169. If you want one of the limited edition autographed box-sets meant for celebrities and industry influencers you’ll need to jump on that soon since there are less than 40 available at $219. Below are the links to all of the products. Looks interesting. The package deal is kinda goofy, but someone 'll bite. I disagree... I learned more than I would have expected and to me that offsets the cost. I don't disagree that the content is valuable. I'm sure it is! I'm just looking at what similarly priced educational videos offer as far as amount of videos, extras, run time, etc. But all that matters is that it was worth it to you. As being one of the few that got a sneak peek at these tutorials, I say this review is spot-on. These 70 minutes pack a punch, and ~$150 to go BTS with one of the most successful and cinematic photographers in the world is a steal... not to mention the production of this series is an absolute treat for the eyes. I expect nothing less from Nick. 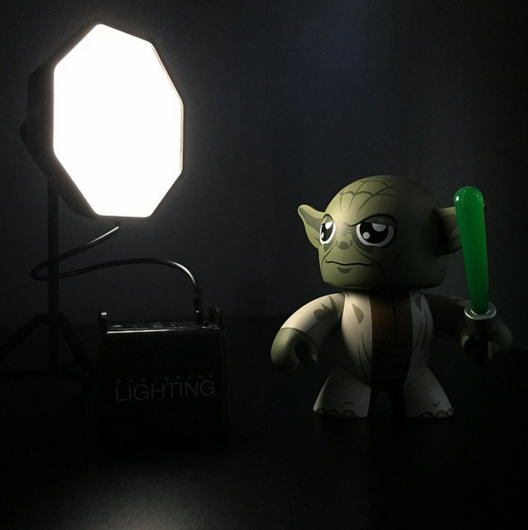 LOVE the mini softbox, I see Star Wars figures seem to be the norm! 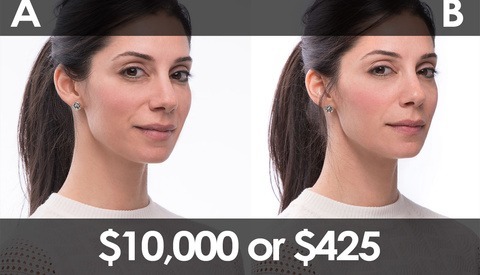 While I enjoyed the video, it's a very "slick" production that is much snazzier than most lighting tutorials, I don't think it's worth the steep purchase price. It's only about 70 minutes long, at this very moment I am watching an hours-long completely free lighting class on Creative Live, and it is literally an infinitely better value. The title of the video refers to lighting, but if you look at what actually goes into one of the author's pictures, lighting is just a small part of the overall production. He has supermodels, pro hair and makeup people, smoke machines, wardrobe specialists, expensive locations... without all those things the shots aren't nearly as interesting and he demonstrates this while having his assistants stand in for the models, and the standin shots are no comparison to the final image, despite using the final lighting. I'm not sure who this video is aimed at since anyone in a position to spend the kind of money and time the author is spending to get those shots probably already has a firm grasp of lighting techniques. YES, I know it's super annoying and embarrassing. Switching away from wordpress next week. Hi Rebecca, just a side note reply (of topic here), I hope you stay with WP. Although many were hacked lately, a good basic protection is all that needed. No real good replacement for WP (I think). All the best. Thank you for your comments. All feedback is extremely helpful in continuing to produce quality tutorials. Rebecca, I appreciate the thorough review—I’m glad you and Clint enjoyed the VIP packages. Making those lights was almost as much fun as playing with them! Hans and Brent, thank you for starting the discussion. 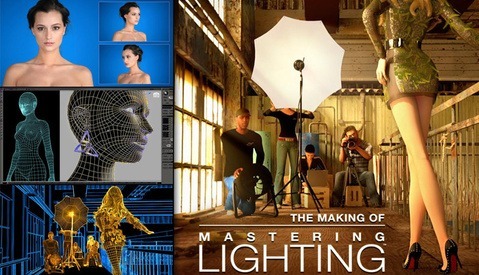 I designed Mastering Lighting based on five years of PhotoKamp advanced lighting workshops, teaching students of all skill levels from around the world. I’m confident everyone here would agree that—given the sheer number of photographers out there—finding a balance that pleases everyone equally is the biggest challenge with any tutorial. That said, I do believe that our per-minute learning value is unmatched. In my experience, most of your learning as an artist will come while in the field shooting, and a tutorial should be as short as possible while still getting its’ points across. It's not my goal to monopolize your time, I want to help you solve problems that you encounter on set in order to achieve your own visions more easily, as we did in Mastering Retouching. Regarding the production scale featured in the lessons, there are countless tutorials that cover the “doable right now” scenarios, but our goal with the SlickforceSystem has always been to inspire artists to tackle their most ambitious visions—and these usually include awesome locations, great models, and setups that require at least one assistant. As someone who was working the graveyard shift at Kinko’s less than 15 years ago, I can tell you that the most exciting thing about being an artist is learning how much more tangible your visions are than we often perceive. I welcome all comments, and I am here to answer any questions you have. Sorry did you really just quote God in this trailer? Soo cheesey. The only way to set yourself apart is not to light like everyone else (not seeing any difference between your video and anything on creativelive) and seeing differently. I don't care who you were trained by or how many celebrities you shot. What it comes down to is if you are teaching me something different and if you photos are interesting neither of which I am seeing here. If I'm going to pay $219 of my hard won dollars, there had better be some compelling content that I can put to work for my shoots—immediately and in a high "return on investment" kind of way. Someone mentioned that it's only 70 mins—and thank God it's only 70 mins! I have bought so many, boring, but technically sounds, but boring (did I mention boring) lighting tutorials. To me, my time is the most scarce resource. Nick has put together a Michael Bay quality (style wise) video that is just so damn fun to watch! And MORE importantly, because it is fun, the concepts are actually sticking with me. You couldn't pay me to rewatch those dozens of other tutorials I've purchased. This one is a gem because I've already rewatched it twice! I can't say that about a single other instructional video I've purchased. That makes all the difference in actually mastering the concepts he teaches. I had so many "a ha!" moments while watching this—it is just plain inspiring and I found myself making lists in Evernote of new tricks to try for my next shoots. Actually looking forward to it. All in all, he created a product that has lifted my energy to create and experiment with new and better lighting techniques. I am seriously excited to post some of the new stuff I try that I discovered in this set. Everyone has their individual priorities, but when I was in college, it was much harder to condense useful, engaging info in a super concise way than to be lazy and just be super comprehensive and bore everyone all to death with inclusive editing. For me, Nick has culled super useful lighting concepts, tricks, and techniques and presented them to use in a fun, engaging, inspiring and memorable way—that won't have you yawning like the rest. Great review and thank you for sharing your thoughts on that DVD. Here is a question that I feel is valid, is it practical for the average, lone photographer? In his trailer it shows him using some very elaborate setups. 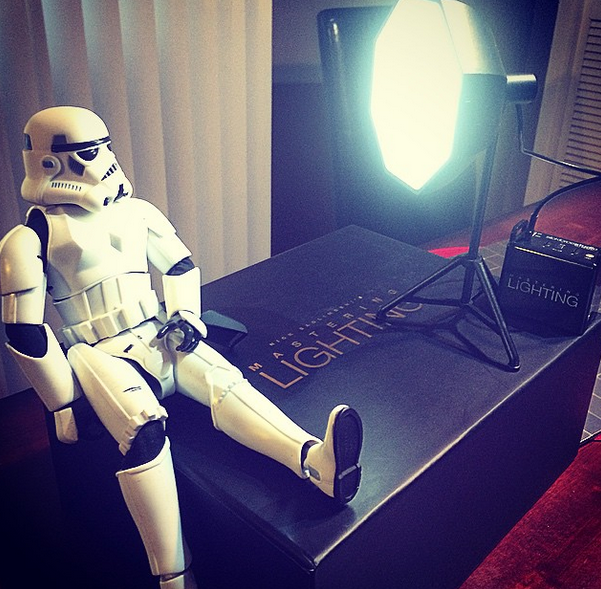 Four light sources is the most I ever used and most times it's one or two lights only. I love watching other people's creative techniques and it's true that you can learn from everyone, especially someone so experienced. However, in time I learned to channel my limited resources and time to watch what can really benefit my needs. I am sure the visuals in this DVD are amazing but again, are the setups practical for the lone photographer that shoots couples or individuals? Most of us do not have three or four assistants and 60,000 sf of location to shoot in. I would love to hear more input on this DVD.